The board features compact size and low current consumption. With power saving technique, the current consumption is as low as 3mA in sleep mode. 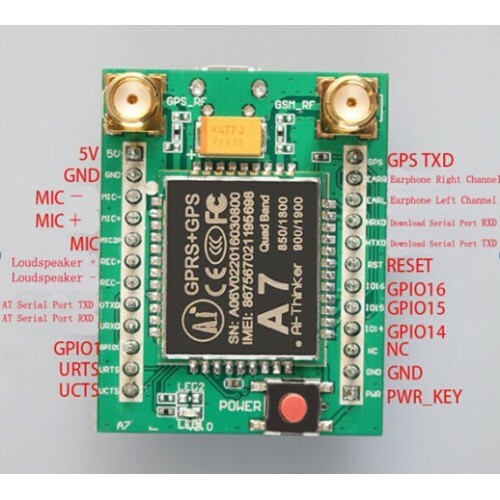 It communicates with micro-controller via UART port, supports command including GSM 07.07, GSM 07.05 and Ai-Thinker enhanced AT Commands.